This is a Nice Era One 433-MHz 2-Channel Remote. Compatible with Nice Flor encoding receivers. Easy memorization using a transmitter already programmed in the receiver, thanks to the enabling of code exchange between the two. 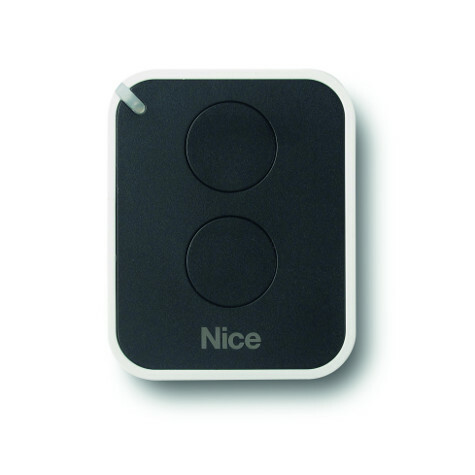 Elegant and convenient: the Nice Era One transmitter can be used as a stylish, high-tech key-ring or fixed to your car visor with the handy support included in the pack.